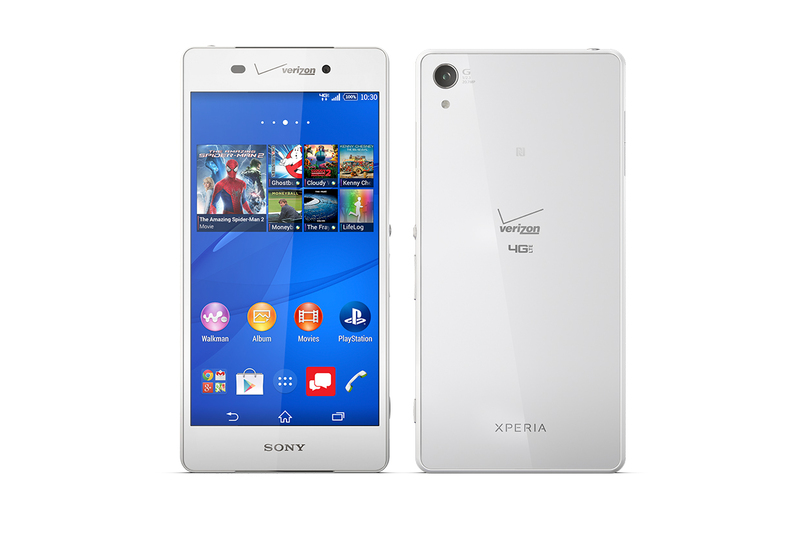 In the last few weeks I got to use the Sony Xperia Z3v smartphone on the Verizon network. Being a big fan of the Z2 tablet, I was excited to really delve into the cool features of the Z3v phone and use in tandem with the tablet. Lets start with the specs of this device. The Sony Xperia Z3v is a LTE phone running Android KitKat. The phone has a 5.2 inch display on the 5.75 x 2.83 inch enclosure. The 3100 mAh battery allows up to 920 hours standby and more important – a 16 hour battery for Facebook, Twitter, photos and the occasional phone call. The cameras on the Z3v include a 20 MP with auto focus, but only a 2.2 front face camera. Just like the Z2, if you close up all the doors, this phone is waterproof – so you can take it into the pool and get some great photos or video. Need more storage? The MicroSD card slot will give you additional room to make your movies or hold more data. Inside is the Snapdragon Qualcomm Quad-Core processor running at 2.5 GHz. This is perfect for you video or gaming enthusiasts. And speaking of gaming, the Xperia Z3v can also connect to a wireless game controller via Remote Play. If you own a PS4 and the family is watching movies, No Problem! Just connect to the PS4 via the Z3v and play your games from either the phone or the Z2 screen! First, although I like the main camera, why is the front-facing camera only 2.2 MP? I used it at SXSW for my main camera and got some great photos but horrible selfies. The biggest selfie fail was my picture with Billy Crystal. In low-light, I am not sure the Exmor RS applies to the front face camera as the pictures were grainy and unusable. But then again, every Android phone chooses to make the front face camera worse than the main. The phone itself is a bigger one. It fits in my hand pretty well, but a smaller hand might find problems in the grip. It is actually heavier than the Z2 tablet to the point of noticing, but I got used to the weight pretty quick. When I put the phone in power save mode, it really lasted while I was travelling through New York and Austin. I did need to charge it in the afternoon so it would survive the night-life. When I got to the hotel at the end of the day, it definitely needed to be recharged. Sony has an interesting app called LifeLog. This thing tracks everything – from your steps to your social media usage, how you travelled – car, walking, other – what the weather was like during that time, when and how much games you played and more. You can even install Lifelog on other Android phones and tablets so you can collect your usage information. The Xperia comes with Hi-Res Audio and noise cancelling technology. You need a special headset, but just like with the Z2 tablet – you can not only block noise via the headphones, you can also get better audio when bootlegging your favorite concert. Overall, the Z3v is a solid Android phone with some great features – especially for gamers out there. Being able to play your Playstation while not even at home. With the Verizon network LTE, you have everywhere access to those games and can log your play time via the LifeLog app.